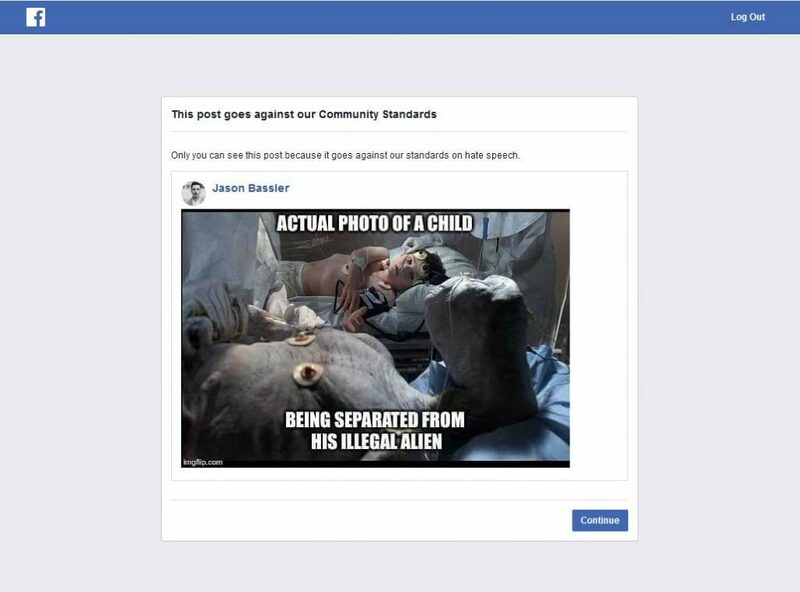 A Facebook user was banned for 30 days for posting a seemingly harmless meme poking fun at the frenzy about immigrant children being separated at the border from their parents. Why would Facebook choose to ban a user for such a harmless-looking meme? Is it possible that they are trying to prevent the erosion of a highly promoted (and predominantly misleading) mainstream narrative? 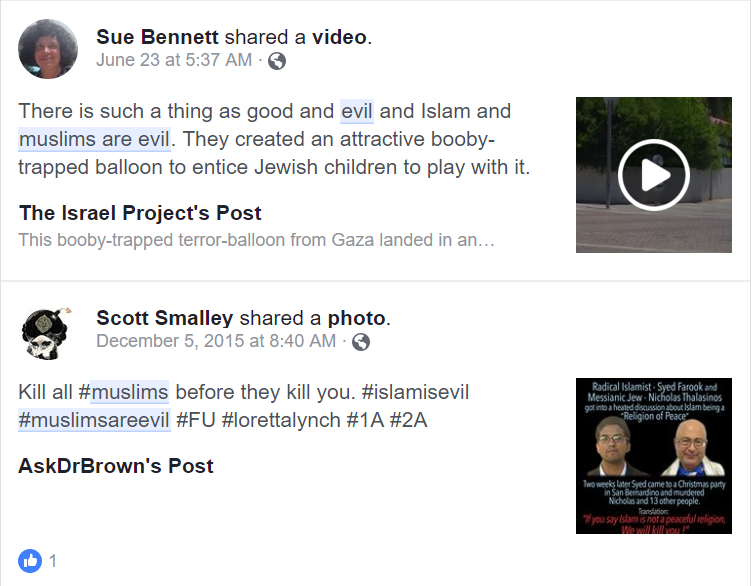 Jason Bassler, co-founder of the Free Thought Project, was recently banned from using Facebook for 30 days for posting a clever meme he constructed out of a screenshot from the movie ‘E.T.’ The meme appears to be a humorous rebuke of the proliferation of ‘fake’ photos being shared by mainstream media and celebrities to whip the public into a proper state of bother about immigrant children being separated at the border from their families due to the Trump Administration’s ‘Zero Tolerance’ policy. While immigration policy has been identified as a serious and multi-layered problem in the United States for decades, the issue of children being separated from their parents at the border and locked in cages is getting hyper-focus these days, at the expense of all other aspects of the immigration crisis. Donald Trump did recently address this matter in an Executive Order that stopped the separation of children and parents at the border. But the fact is that of the 12,000 immigrant children being held in the United States by the DHS, a full 10,000 of them (over 83%) arrived at the border unaccompanied. These are children the mainstream virtually ignores. Does this mean that these children are not important or worth talking about? That’s how it would seem if you gaze at the headlines. The only thing the mainstream media wants to talk about, often through their surrogate celebrities, is the separation of child from parent. Take this Instagram post by Jennifer Lopez, for example. It turns out that these photos are not at all what they pretend to be about, and have nothing to do with the separation of immigrant children from their parents. As cogently explained by news-analyst vlogger ‘an0moly’ in his video below, the first picture depicts a child who was never separated from her parents, while the second is a picture from Mosul, Iraq in 2016. The proliferation of ‘fake’ and ‘misrepresentative’ photos that help to lend emotional support to a chosen narrative is a ploy that the mainstream media seems to be taking to a new level, and they are able to find plenty of support from puppet celebrities who have a significant reach. Hopefully, we are getting familiar with this pattern we see here, and a growing number of us have stopped being fooled by it. Problems in our world are never getting solved, not because there are no solutions, but because the powerful elite want to keep things exactly as they are. In this particular case, the current state of immigration and the ongoing gridlock in comprehensive immigration reform keeps the flow of child and human trafficking going for their nefarious purposes. The suppression of memes like the one above that was banned from Facebook is an indication that the elite are getting more and more desperate to control the narrative, and distract people from coming into a state of awareness about child and human trafficking, and the actual efforts being made by the current administration to combat it. Continuing to take notice of and have discussions about human trafficking, as difficult and confronting as it may be, is one of the most important things that we as truth-seekers can do.